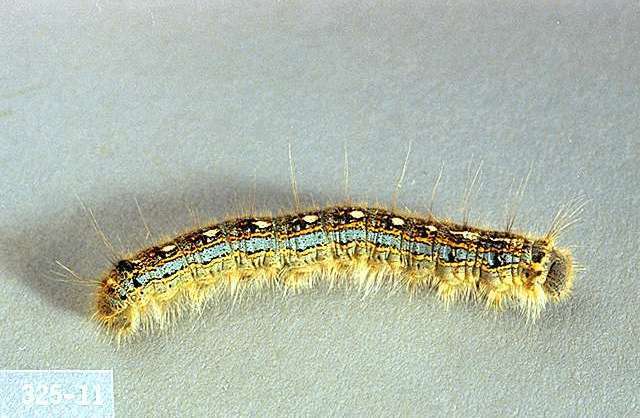 Larvae of the forest tent caterpillar are about 2 inches long, blue, with black spattered markings as well as white, footprint-shape marks. 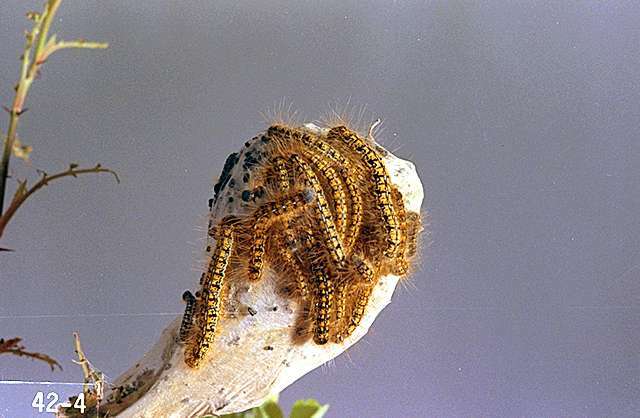 Larvae of the western tent caterpillar are hairy, dull yellow-brown, with rows of blue and orange spots on the body. Eggs of these moths are laid on twigs or buildings in masses. These are brown to gray, about 0.06 inch long, and look like polystyrene. Larvae of both species feed in large groups on foliage of host plants and can do significant damage by defoliation. Larvae of western tent caterpillars build large silken tents over leaves on which they feed. Larvae of forest tent caterpillars build mats of webbing rather than tents. Larvae can defoliate small trees totally, which may not kill them, but it reduces growth and makes the trees more susceptible to diseases. Healthy trees usually will grow new leaves by midsummer. 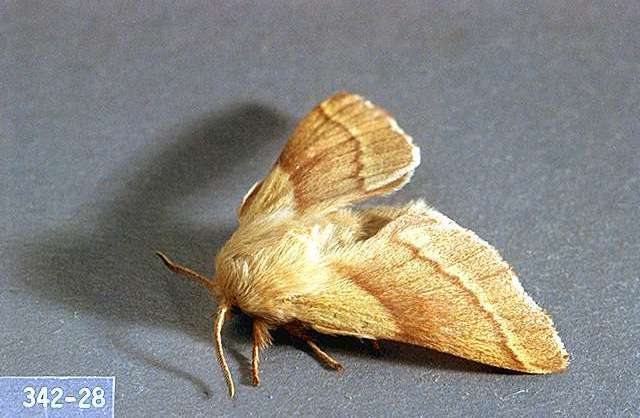 Biology and life history The moths overwinter as egg masses on twigs or buildings. The eggs hatch in spring as buds break in April or May. The young larvae feed in groups for 5 to 6 weeks, growing larger and molting (shedding skins) four times. As they mature, they split into smaller groups and move to new feeding sites in the tree. The larvae pupate starting in mid-June, and the adults emerge 7 to 10 days later. 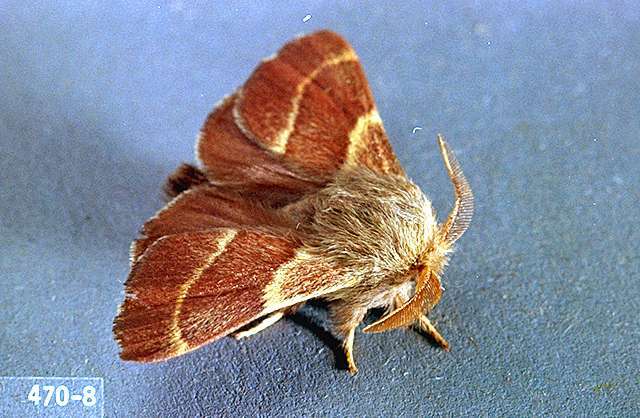 The adults moths mate and females lay eggs that overwinter. There is one generation per year. Pest monitoring Look for egg masses on twigs or other overwintering sites. Masses of young larvae are identified easily in early spring. Infestations of tent caterpillars occur cyclically as populations of the caterpillars and their predators rise and fall. Tent caterpillars have many natural enemies. Some birds eat the caterpillars and small mammals consume the pupae. The larvae of a tachinid fly parasitizes the caterpillars. 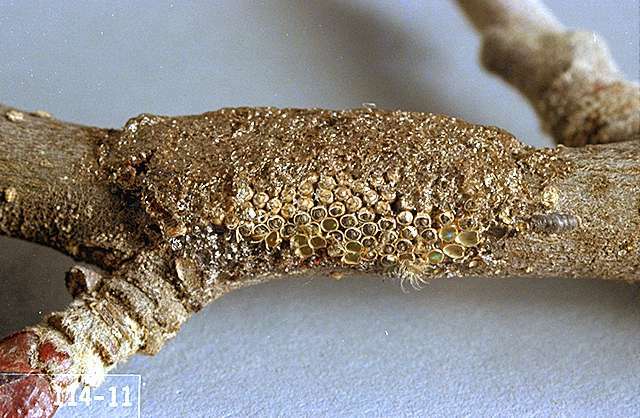 Remove egg masses from twigs or other sites. Cut out infested twigs and dip them in a bucket of soapy water. Bacillus thuringiensis var. kurstaki-Some formulations are OMRI-listed for organic use. plant-derived essential oils-Some formulations are OMRI-listed for organic use and have shown efficacy against tent caterpillars. pyrethrins (as a mix with other ingredients)-Some formulations are OMRI-listed for organic use. Bacillus thuringiensis var. kurstaki-See label for rates. PHI 0 days. Follow label instructions. Add a spreader-sticker to enhance control. Some formulations are OMRI-listed for organic use.